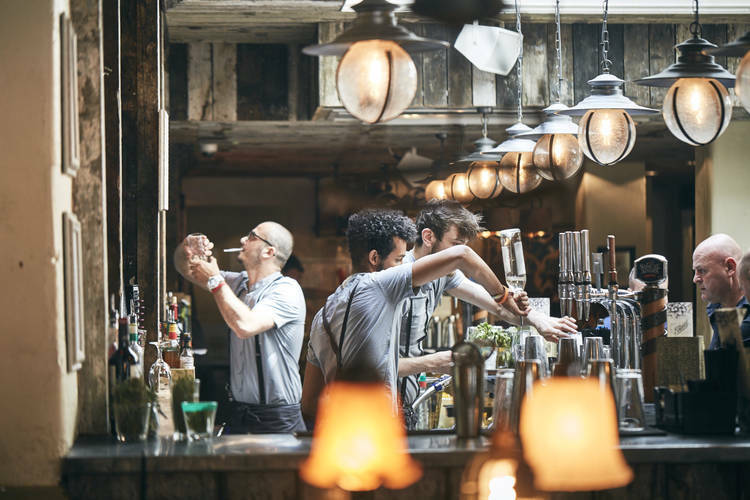 The New World Trading Company has taken home the gong for Best Pub Employer (2-50 sites), sponsored by Sky, at the 25th anniversary of the Publican Awards, held at Battersea Evolution in London. The New World Trading Company (NWTC) held off stiff competition from Oakman Inns, Beds & Bars and BrewDog to take the crown with judges particularly impressed with the company’s commitment to internal promotion and staff development. The recruitment process for a new site begins several weeks before opening and focuses on a series of step-by-step tasks to see whether individuals have the ability to work within an NWTC business. Once recruited, a relentless process of continuous cocktail making and bar work is trialled before opening night for a fortnight. With more than 20 new sites scheduled to open in the next couple of years, New World Trading Company’s excellent recruitment process will be put to the test. Ed Bedington, editor of the Publican’s Morning Advertiser, which organises the awards, said: “This is a business which really puts a massive amount of emphasis into recruiting and retaining its people, and it’s no great surprise to see them take the title of Best Pub Employer despite the extremely strong competition in this category. WE'RE GROWING RAPIDLY, AND YOU CAN TOO!